If you are ready for some relaxation, it’s time to head to the spa. This is the place you can go to unwind with your friends or enjoy some tranquil time to yourself. Sometimes you just need a break, and if that’s the case, there is plenty of pampering to be found in Maryland. Here are the 10 best spas in the state. The Linden Spa is located at the Inn at Perry Cabin, probably one of the most beautiful resorts in all of Maryland. Made famous in the movie “Wedding Crashers” (it was their summer home), this retreat is stunning, fabulous and incredibly relaxing. When you stay here and enjoy the spa services, it is easy to forget about your busy work schedule and just let go. This is not a traditional spa—it’s a float spa that uses water therapy to help you relax and your body to rejuvenate. You may be familiar with how people flock to the salty waters of the Dead Sea, for its healing powers. A float spa uses similar, but man-made, concepts. While here, you can float in one of two saltwater pools, effortlessly. In addition to relaxation, the results are supposed to be improved health and mental clarity. Gorgeous inside, this is what you would expect a full-service spa to look and feel like. You can get your hair and nails done, schedule a massage, the latest skin care treatment, and more, from a stunning setting with a glamorous staircase and marble flooring. Plus, since it’s at Waugh Chapel, you can go out to eat afterwards or shop and there is plenty of parking. Location, location, location. If you want your spa experience to have gorgeous views of the water and the ability to take a stroll on the beach when you are done, head to the Chesapeake Beach Resort and Spa. The spa and resort are incredibly beautiful with a white clad exterior that makes you feel as though you are in Cape Cod. They offer traditional spa services like massage, face and skin care, body treatments, etc. and with the resort onsite, we recommend making a weekend out of it. In addition to traditional spa services, Swan Cove has a health and wellness center with acupuncture, meditation, and nutritional assistance. They are treating the entire body from the inside out, which can help you to look even more beautiful. After all, a new haircut can only cover stress or a lack of energy so much. Addressing how you feel beginning with the inside, can help your exterior treatments to really shine. The Four Seasons is known for glamour and excellent service. This is exactly what you will experience at this stunning Baltimore landmark. This is an urban-chick spa where tourists and locals are just as likely to make appointments. They offer body healing treatment and poolside yoga in addition to traditional spa services. They also offer a unique nighttime experience where guests can enjoy the Zen playground from 9:30 to 12:30. Zena’s is an excellent destination for spa packages. 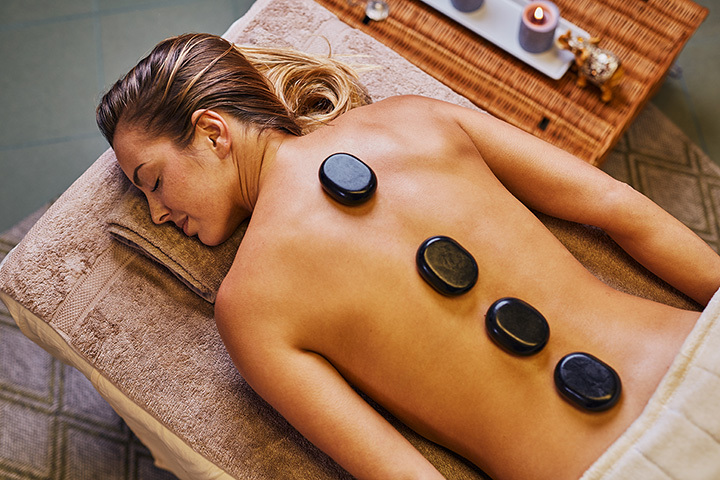 If you need a day of pampering, a couple’s retreat, are celebrating a birthday with your girlfriends or getting married—their spa packages make it easy to do so in complete relaxation. For example, you can schedule their Day of Beauty and receive a haircut, manicure, massage, pedicure, facial and breakfast or lunch for one set price. It’s a great day and a great deal. Make a weekend out of your spa experience by visiting Turf Valley Resort. Their on-site spa is lovely and they offer a variety of packages including a romantic spa overnight package, girlfriend’s getaway, and a couple’s golf package. This is a great spot if you are visiting Ocean City. After a few days of the beach and sun, you may need some indoor rejuvenation. At Serenity, you can come in to have your nails done, get a facial, your haircut, or a massage. Organic meets wellness meets spa-like atmosphere—that is what you will find at Vita Revive. Anyone interested in organic and natural beauty treatments should come here. They offer solutions like body detoxification, colon hydrotherapy, organic facials, and traditional spa packages. This makes visiting Vita Revive a unique experience because you can focus on your internal and external health at the same time.